In early 2015, mere months after starting RINGR, I moved to Cincinnati, Ohio for six months to join a business accelerator called OCEAN. Being somewhat new to the podcast industry, I had heard Cliff Ravenscraft’s name…but I didn’t fully grasp how influential he was, nor did I realize that he lived about 10 miles from Cincinnati. However, I quickly learned about both and proceeded to send Cliff a completely unsolicited and unabashedly selfish email. Long story short, the guy known as “The Podcast Answerman” miraculously agreed to meet with me to talk podcasting and check out RINGR. We chatted for about an hour at a Chipotle in Northern Kentucky after Cliff’s daily workout. He was gracious–especially considering we had a few difficulties with the RINGR beta–but while leaving, I felt sure I had completely wasted The Answerman’s time. Perhaps I did. But Cliff, dripping with graciousness and sporting a stunning new physique, still agreed to be on the podcast today. He was fantastic. And now I have a hankering for some Chipotle. Cliff Ravenscraft is probably better known as “The Podcast Answerman.” He started podcasting back in 2005 about the TV show “Lost” and has turned the hobby into a very full-time career. In addition to hosting several podcasts himself, Cliff speaks regularly at podcasting conferences across the country and has committed to working out six days a week for the rest of his life! 1:45 – Cliff turned $35 into a podcasting career…and is now more than 3,700 episodes in! 2:32 – The Podcast Answerman didn’t quite have all the right answers during his worst interview ever. 7:29 – What should Cliff have done during this disaster to help avoid the problems? 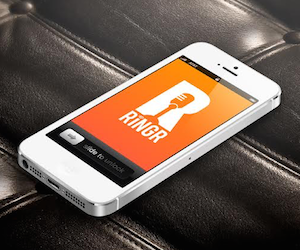 8:40 – Get more info on RINGR (how Tim and Cliff recorded this). 9:18 – What was Cliff doing before he started podcasting? How did he make the switch? 11:38 – The moment that changed Cliff’s life involved the distinct potential of disappointing his dad. 12:47 – Hear the episode Cliff referenced that tells the full story behind leaving his job to start podcasting. 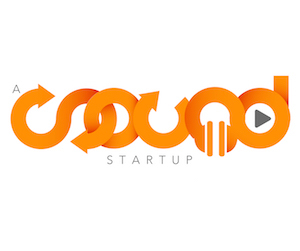 15:02 – If you’re thinking about starting your own podcast, make sure to sign up for Cliff’s newsletter.